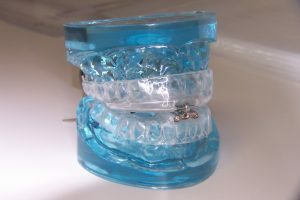 Sleep apnea is an epidemic in the United States with 18 million known cases. Over 37% of adults in this country unintentionally fell asleep during the day at least once in the past month. Just under 5% nodded off or fell asleep while driving. It is estimated that over 1,500 fatal car crashes and maybe as many as 40,000 total car crashes occur annually as a result of sleep apnea. In addition to car accidents a number of diseases are linked to Sleep Disordered Breathing (SDB). Approximately 76% of congestive heart failure patients have some level of SDB. Some 83% of hypertension patients have sleep apnea and 48% of Type 2 diabetes are suffering from sleep deprivation. In addition to these diseases Obstructive Sleep Apnea (OSA) increases the risk of memory loss, depression, stroke and early death. There are symptoms of sleep apnea that everyone should be aware of. Some of these symptoms will be noticed during the day. These symptoms include excessive daytime sleepiness, poor memory with clouded intellect, poor concentration and performance of various tasks, fatigue, morning headaches, morning hoarseness, depression, irritability and even personality changes. Other symptoms will occur at night. These include snoring, snorting, gasping, pauses in breathing, sweating, thrashing in bed, insomnia and fragmented, non-refreshing sleep. Sleep apnea must be diagnosed by a physician trained in sleep medicine. The first line treatment and treatment of choice is the CPAP (Continuous Positive Airway Pressure) or one of its close derivatives, bipap, autopap, etc. For those individuals who just cannot tolerate one of these machines, there is an alternative. That alternative is an intraoral appliance that is used to draw the lower jaw and tongue forward to open the airway and allow for improved air flow while you sleep. There are literally hundreds of these appliances, but a dentist trained in this area can help determine which one is right for each individual. The appliance is a splint that covers the upper teeth and a splint that covers the lower teeth which are connected by a hinge mechanism. The hinge mechanism can be adjusted to slowly bring the jaw forward to a position that will allow a more open airway while maintaining comfort. It is also important to correctly assess the health of the jaw joints prior to wearing any of these appliances. If there is dysfunction in these joints that condition must be managed as well. Services for treating sleep apnea with appliances are covered by many medical insurance plans. We are equipped in our office, even though we are a dental office, to assist you with this. If you or a family member is suffering with sleep apnea and cannot tolerate CPAP, please call our office. We would welcome the opportunity to help you get a good night’s sleep and improve your overall health in the process.